The cross is one of the oldest symbols of protection and faith. 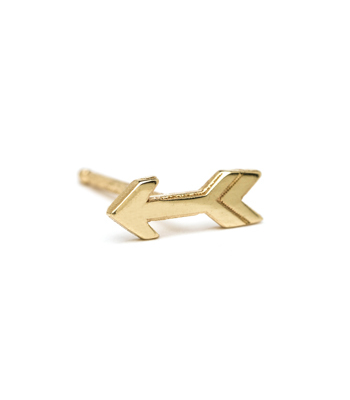 Our petite solid gold stud is a personal reminder that there is more to life than what we can see around us. 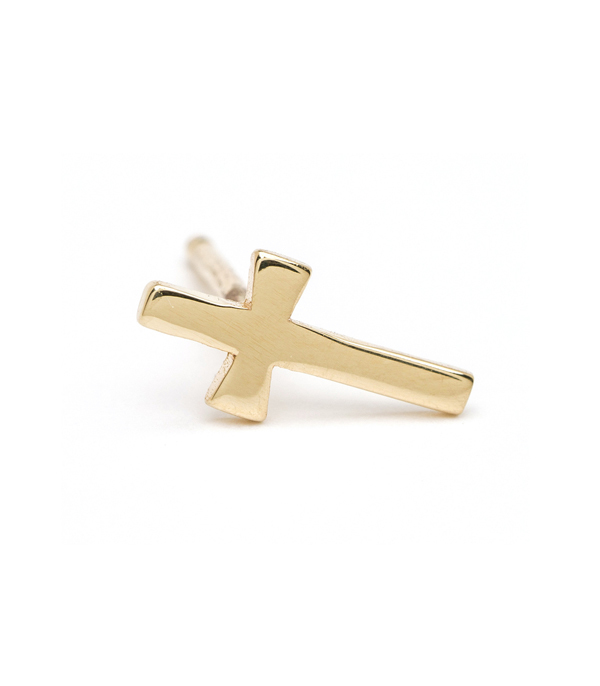 Powerful and delicate, we think this minimal gold stud is a beautiful token of your faith. 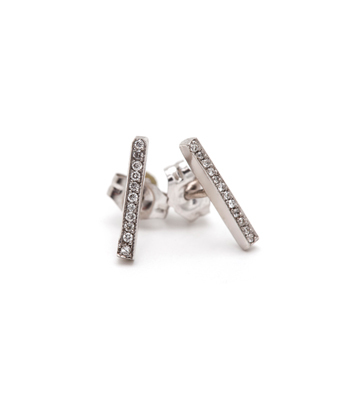 Pair with another single stud to create a secret self affirmation and add a bit of inspiration to your day to day. 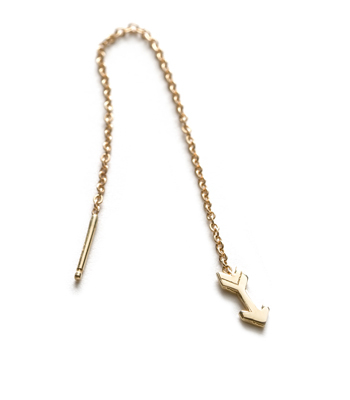 Give this lovely stud to a best friend as a reminder of the divine within. 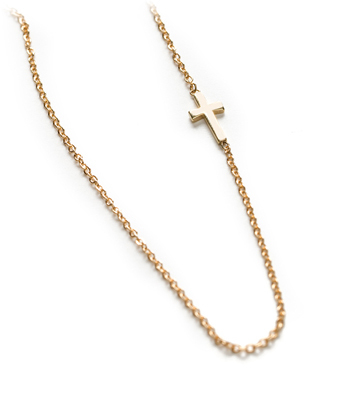 This mini 14K yellow gold cross earring is sold individually, not in a pair, and is hand made by our artisan jewelers in Los Angeles.